The value of precise biometric measurement as a catalyst was learned through personal experience, on a long successful fitness journey . We want to give the power of that knowledge to you. It's hard to know exactly which way to go if you don't know exactly where you are. We provide the precise, scientific data you need to reach any fitness goal. Whether you want to control your weight, improve overall physical status, or measure speed and power for sports, we have the precision equipment to provide you with true, no nonsense measurement. Get specific. Hit your target. Scott literally wrote the book on physical fitness. 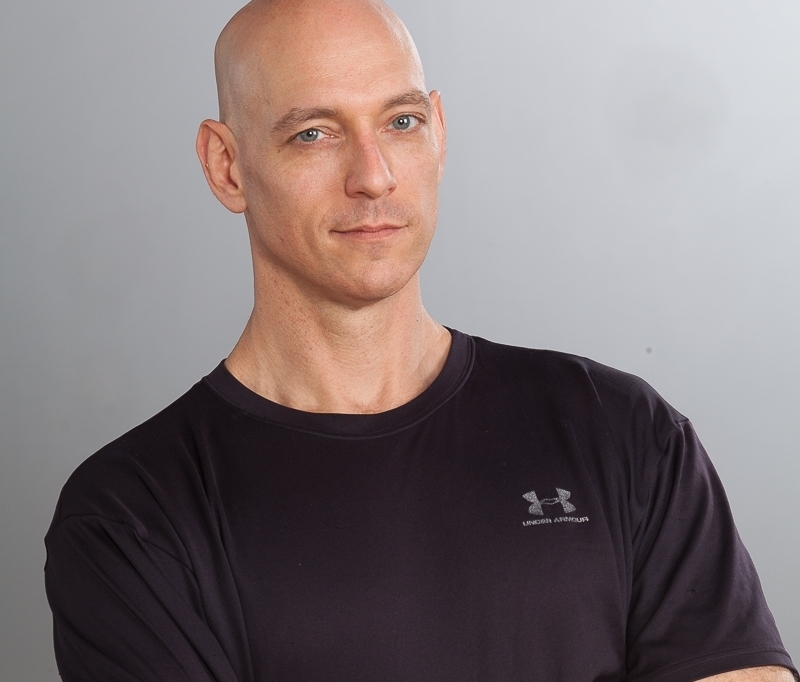 Scott Dyck has been a personal trainer in the Philadelphia area for 11 years. Growing up in central Kansas, physical activity was a part of every day. A multi-sport athlete in high school, Scott went on to play baseball at Tabor College before enlisting in the Army. After meeting Katey while deployed to Bosnia and serving a year in Iraq after they were married, it was time to settle down. After working in several gyms throughout the Philadelphia area, Scott found his professional home at Balance Chestnut Hill. In the meantime, while serving as head trainer at Balance, Scott has co-authored the textbook for the International Sport Sciences Association's accredited course Group Fitness, with friend and colleague Sara Fleming. BioFit Philly is the culmination of a lifetime of fitness observation and self-experimentation. After playing competitive sports, making a living in construction and military service, and working through personal orthopedic injuries and asymmetries, Scott both saw and felt the daily value of peak movement patterns; and body composition as a crucial aspect of human performance. Whether you want to optimize your training, lose body fat, or pursue an athletic scholarship, accurate testing is key. So is the person performing the tests and interpreting your results. Katey was a late-comer to the fitness party. Once joking that she was "allergic to physical exertion," Katey spent decades living an unhealthy life. Poor diet management, zero efforts towards athleticism, and two pregnancies led Katey to tip the scales at 243 lbs. At age 31, fearing for her health and ability to energetically tend to her children, Katey began slowly to change her lifestyle. Over the course of a year, Katey cleaned up her diet, discovered workouts she was able to enjoy, and ultimately succeeded in losing 107 lbs. This achievement caused enough social media chatter to prompt Katey to chronicle her story on her blog Happy Exhaustion. That blog caught the attention of People Magazine, and in 2014 Katey was featured on their cover of their annual "I Lost 100 Lbs" feature. Since discovering the joy and confidence of a healthy and strong lifestyle, Katey earned her certification as a Specialist in Fitness Nutrition. Katey now works with clients to chart their own incredibly personal and unique paths towards success in fitness and wellness. Having lived and struggled with the fight for fitness, Katey knows first-hand how physically and emotionally difficult it is to feel like "I'm doing everything right!" and not see results. A test of her own resting metabolism provided Katey with a clear and scientifically based set of parameters which took the guesswork out of her weight loss journey. She is excited to offer the same tools that fueled her successes and more to others seek clarity in their pursuit of peak fitness.